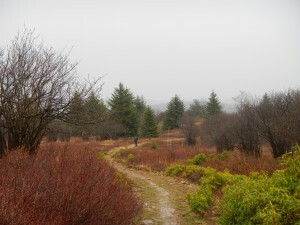 The Dolly Sods Wilderness Area is an anomaly. If I were dropped there from a flying saucer, disoriented and bewildered, my first thought would be that I was dropped somewhere up north in Canada, Maine, or possibly Alaska. When the wind picked up over the sphagnum bogs, rattling the blueberries and putting a chill in my bones, my first thought would not be, “Feels like a nice West Virginia wind!” although that is exactly what I would be feeling. When I hiked and hiked over the sub-alpine meadows (or “sods” as they’re known around these parts) without gaining or losing much elevation at all, I would question everything I knew about mountains and their incessant ups and downs. If I wasn’t completely insane at this point, I’m sure I would find one of the many beautiful campsites along the rocky creeks of the plateau and lay myself down in pine needles for a much needed nap and hope that someone might happen my way, perhaps with food or a map or an explanation of exactly what was going on in this crazy world. And perhaps they would, but I wouldn’t count on it. 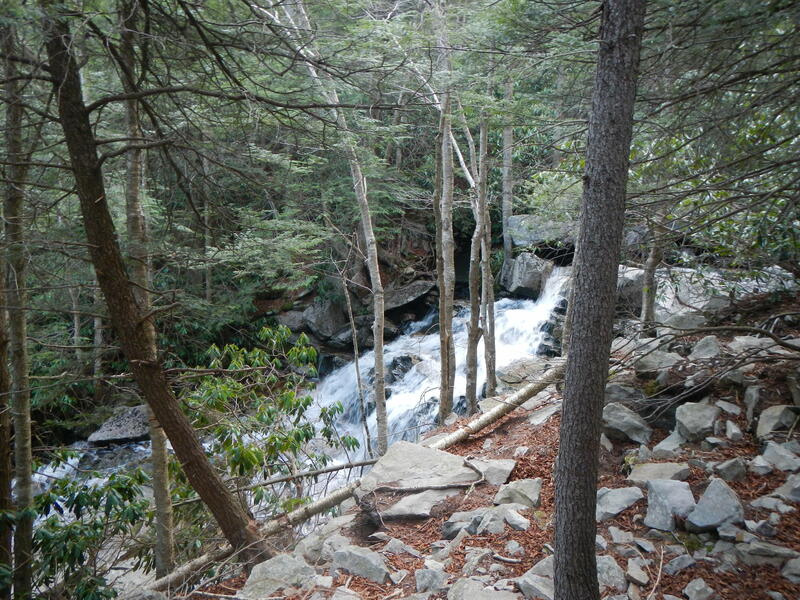 You see, the Dolly So ds is a 17,371 acre wilderness area located in the Monongahela National Forest in West Virginia in the middle of the Allegheny Mountains. It’s not exactly the middle of nowhere, but it’s not far off. The area consists of a number of rocky, high altitude plateaus (around 4000 ft. at the highest points) cut through with creeks, which in turn become beautiful waterfalls as they descend. When you enter the Dolly Sods from the trail head, you will be fording streams and climbing a few thousand feet along switchbacks and ridges before reaching the meadows at the top. In years of back country travel, I haven’t seen much like it. The forest disappears as you hike and you enter an area of tall grass, stunted trees, gnarled brush, wildflowers, boulders and bogs. Wildlife teems. In one afternoon, I spotted deer, mice, chipmunks, turtles, garter snakes, innumerable birds, and even a black bear traipsing about the tree line. The views are wide open and there’s a lot to see. 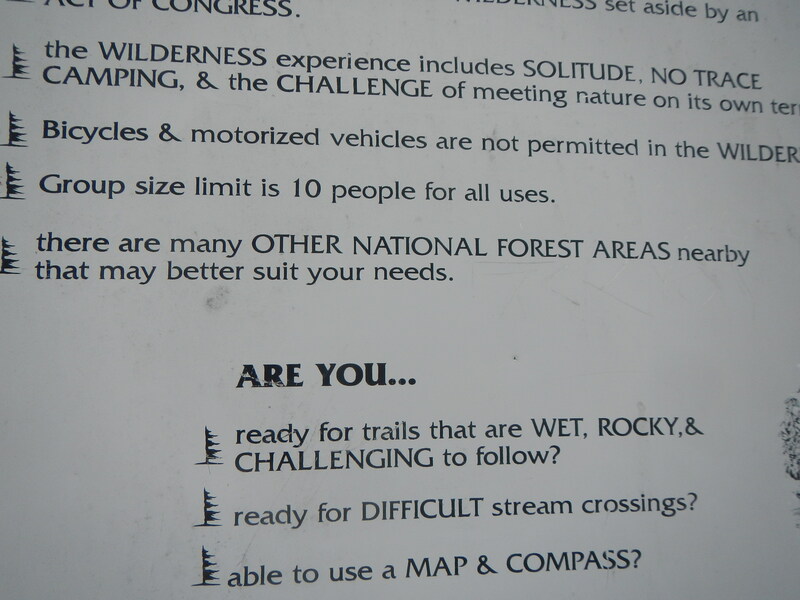 The Dolly Sods, however, is not for everyone, as the park sign says. Orienteering skills are a must. 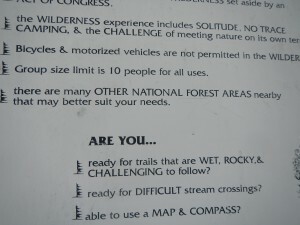 The trails here are marked only by footprints in most areas and the few signs that exist are mostly at trail junctions. The creek crossing are serious. Visiting in the spring, we were required at various times to ford cold water that hit above the knee. The bogs are muddy and the boards over them, where they exist at all, are slippery and broken. 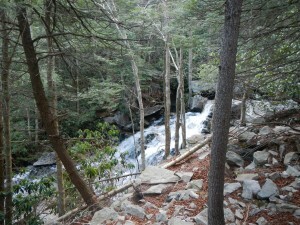 At times, the trail enters boulder fields that require balance, stamina, and a keen eye for trail finding. During World War II, after the area had been logged and burnt to the rock in the years before, the army used the sods as an artillery and mortar range. That’s right: there could very well be live bombs (though we saw none, fortunately). 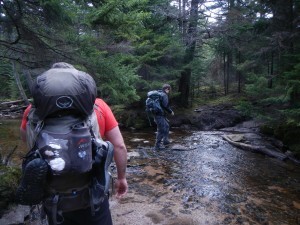 Bears, bombs, and bogs equals, simply: know what you’re getting into when planning a trip through the Dolly Sods. Now that you’re scared that bears with bombs in their mouths are coming to trade you explosions for food, I will assure that backpacking in the Dolly Sods is great, every bend and turn. The campsites are numerous and idyllic, water is plentiful, and the views are worth the route finding. Lion’s Head Rock on Breathed Mountain is a spectacular rock formation with a vista of the rolling hills of the Monongahela. Getting there is the best part. I can say truthfully that I haven’t had as much fun hiking as I did in the Dolly Sods since south-bounding through Maine on the AT. It is that good of a hike, as beautiful as it is challenging. Stop reading this. Go hike.